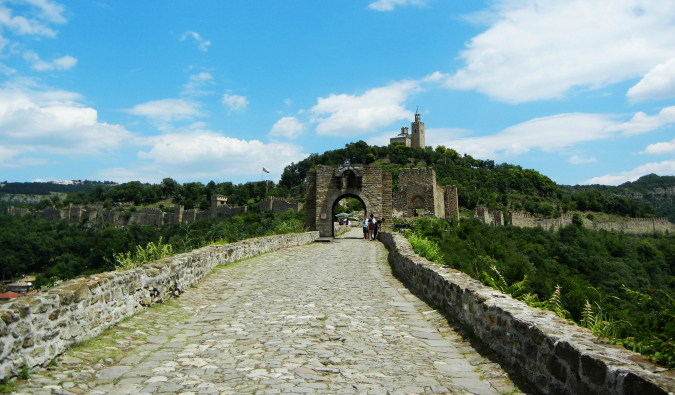 Over the summer, I left the popular European tourist trail and saw three of Europe’s lesser-visited countries: Bulgaria, Romania, and Ukraine. They’re located on Europe’s far eastern edge and see few tourists. While Bulgaria sees a few more tourists because of its proximity to the Balkans and acts as a stop on the overland route from Turkey to Budapest, the farther north I went, the fewer travelers I saw. In Ukraine, I only encountered US Peace Corp volunteers and a handful of Europeans. I don’t understand why — these countries are inexpensive and safe, and they lack the overwhelming crowds you find elsewhere in Europe. These countries are half the price of their Western counterparts. In fact, during my 46 days in these three countries, I spent a total of $1,876.50 USD. And that was even taking into account all the sushi I splurged on! That’s a great deal for 46 days in Europe. While I would normally break down the cost of each country into a single post, I want to put these countries together, so you can see all at once how affordable this area of Europe is. While in Bulgaria, I spent a total of 1,405.40 lev (BGL) in 23 days. That works out to be roughly $1,000 USD, or $43.47 USD per day at today’s exchange rate. In the 23 days I was there, I visited all the major sightseeing destinations, including the expensive and way overrated Sunny Beach. All prices are in Bulgarian lev. How much can you really do it for? About the same. Excluding my sushi splurge, my daily average would have been around $38.29 USD. I didn’t spend lavishly in Bulgaria or really do anything beyond what the normal budget traveler would do. I used local transport, ate local meals, stayed in cheap hostels. If you aren’t a sushi fan, budgeting $35–40 USD per day in Bulgaria should be adequate. 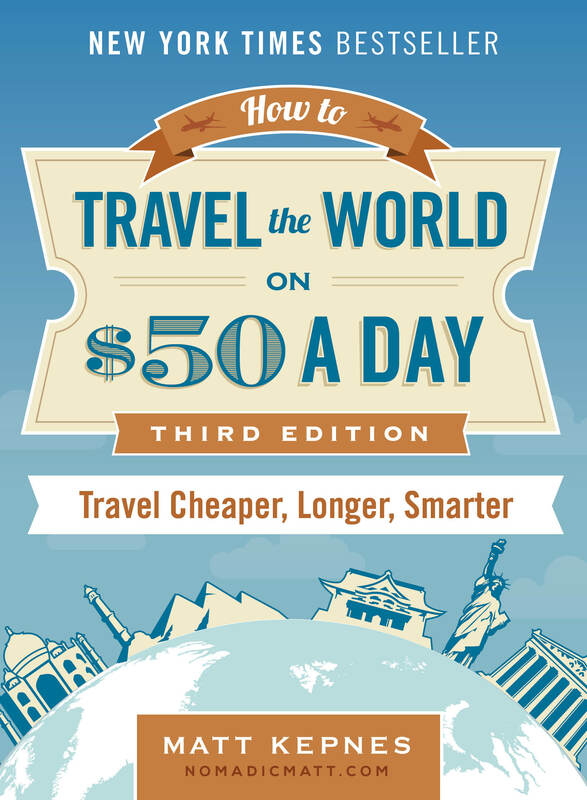 If you’re looking for nicer accommodations and more restaurant meals, you should consider budgeting $50–55 USD per day. And while these are not the rock-bottom prices you can find in other parts of the world, when comparing them to prices in Western Europe or Scandinavia, things are considerably cheaper. Couchsurf – Hostels are cheap, but if you want to save even more money on accommodation, you can Couchsurf and stay with locals for free. There are a lot of available hosts in this country. Cook – There’s a lot of cheap Bulgarian food, especially the pizza, hot dogs, and sandwiches on the street. Cooking your own food will obviously make things cheaper too, especially since the markets have a wide variety of inexpensive fruits and vegetables. Stay at Hostel Mostel – Staying at this hostel can lower your costs, because not only do they offer free breakfast but they also offer free dinner (which also comes with a free beer). Staying here gets you two meals a day. They have locations in Sofia, Plovdiv, and Velinko Tarnovo. Take buses – The trains in Bulgaria are more expensive than buses. While in Romania, I spent 1878.30 leu (RON) or $578.83 USD in the 16 days I was there. That works out to be 117.38 leu or $36.17 USD per day. This covered the cost of travel from Bucharest through Bra?ov and Transylvania to Cluj-Napoca. All prices are in Romanian leu. You can do Romania cheaper than I did. I spent quite a bit on sushi and had a few nights in a private room. Moreover, I got a cold and had to spend some money on medicine, which upped my budget too. $30 USD a day is a reasonable backpacker budget for Romania, though you’ll probably spend more if you drink. If you want a few nights in a private room, nice meals, and more sites, your budget will probably come close to $45 USD per day. If you only stay in private rooms, then simply triple the amount of money I spent on accommodation and that’s how much you’ll need to budget for a place to stay. I didn’t find that Romania offered amazing ways to save. There wasn’t really any one thing that I found and was like, “Wow! This is going to be great! My budget is saved!” Outside the normal Couchsurf/cook/eat local tips, the country is cheap enough. My last stop in the region was Ukraine. While I was in Ukraine, I spent a total of 2377.95 Ukrainian hryvnia (UAH) or $297.07 USD in the seven days I visited the country. That works out to be a 339.70 hryvnia or $42.52 USD per day. I was in Kiev and Lviv while I was there. One of the reasons my budget for Ukraine was so high was because I went out for sushi twice. When you exclude those meals from my budget, my daily average drops to 251 hryvnia or $31.09 USD. I don’t think you can visit Ukraine for much cheaper than that. I was the ultimate backpacker here and stuck to everything cheap. However, I suggest you spend more and not be so frugal. Splurge on sushi or drinks or a nice room every so often. This country is cheap (the cheapest I’ve been to in Europe, in fact). Live it up. Enjoy it, because after the European soccer championship comes here next year, prices will surely go up. The Ukraine is currently one of the best value countries in Europe. Make the most of it while you can. Couchsurf – If 5–10 euros per night is too much for you, then Couchsurf and save yourself money. Eat local – By only eating at local restaurants like Puzata Khata, you’ll keep your food prices down as low as you can. A typical meal here cost me about 30 hryvnia ($4 USD). Drinking – This tip actually applies to all the countries mentioned here. In all these countries, you can buy 2.5 liter bottles of beer in supermarkets and corner shops for $1–2 USD. It’s incredibly good value and is the way to party on the cheap. 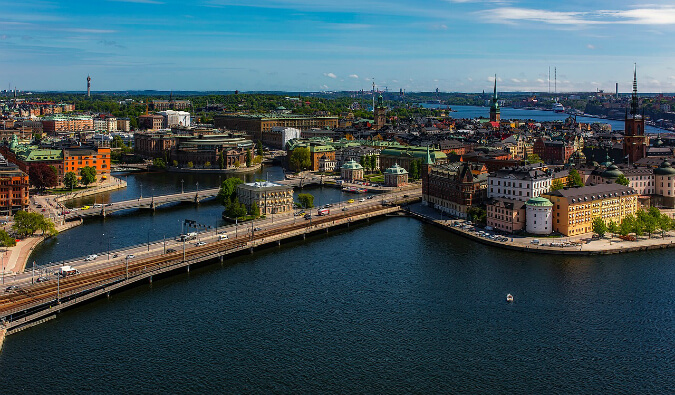 The eastern part of Europe is the best bargain you’ll find on the continent. These three countries were much more affordable than I’d previously thought, and traveling here definitely helped me correct some of the overspending and higher costs of Western Europe. 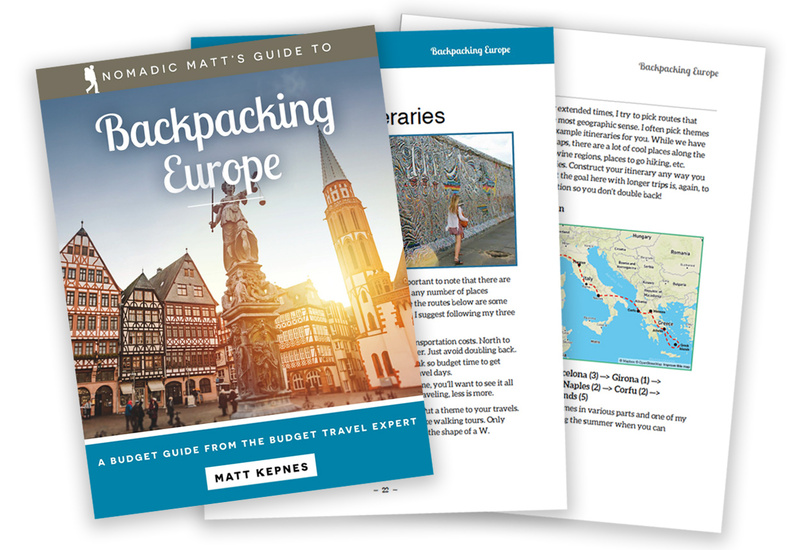 But, beyond just the monetary savings, these countries are rich in history and delicious food, and they offer a challenge for travelers that you don’t find on the well-worn trail in other parts of Europe. I’m so happy to have finally made it out here. Note: I didn’t visit Moldova because of time constraints, but I’ve heard its prices are on par with the rest of the area. I didn’t go to Belarus either, because it costs a few hundred dollars for a visa, and I didn’t feel I would spend enough time there to justify the cost. Good informative post. I see from other posts that you really liked the Ukraine. Out of the three countries compared here would you rate it the most likeable? if you ever come to Budapest ( I believe I didnt see it on this page ) then you have 2 free nights with us at our apartment guesthouse, Nova Budapest. We are listed 7th best on tripadvisor. ILove your articles. keep up the great work. Thanks for the info. My girlfriend and I are currently planning a 6 or 7 month trip. I think we’re going to start in SE Asia, but who knows where we’ll end up. I can’t wait to see Easter Europe someday. I was shocked at how cheap Romania was. I was there last year during Holy Week, and between a rental car and gas, awful Euro Pop CDs, food, sites, an overnight sleeper car and going out a few times, I spent less in seven days than I did on the ticket from MAD-BUC-AGP. My splurge, other than the private overnight train (about 42€ from Gurui Humorlori to Bucharest), was staying with a man named George in Botiza, Maramures. He and his wife treated us to filling dinners, private tours and a comfy bed for 20€ a night. We thought about forgoing the painted monasteries to stay a few more days with him!! Informative post – I hope to get back out East soon. Great info here! I am heading to Ukraine, Moldova and Belarus in January/February. I know Belarus will be pricey but it sounds like Ukraine and Moldova will help balance it out a bit! Would love to know the hostels you stayed at in Ukraine and if you’d recommend them. There is just one thing about Bulgaria I do not agree with. The trains are considerably cheaper than the buses! I do not know why you’ve got this impression. Every time I looked at the train prices, the bus was cheaper. Violeta is right, Matt. The trains are really a cheaper way of travel in Bulgaria. That`s because they are older and dirtier than the buses. Not like in Western Europe. Budget buses are definitely cheaper than trains these days, which doesn’t make sense to me, but this is the case throughout Europe. Thanks for the great tips on how to experience an amazing area without having to dig to dip into our pocket! 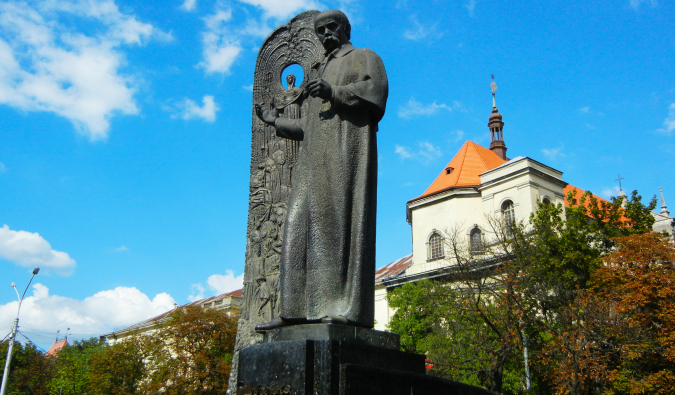 Your advice will be very helpful whenever traveling to Eastern Europe! 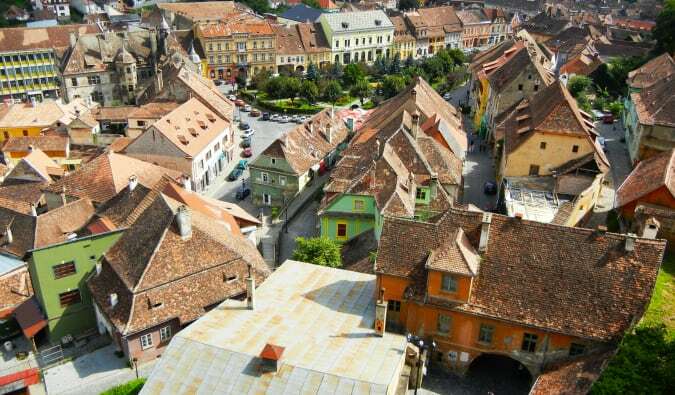 I want to visit Romania so bad, since my best friend was born there and wasn’t there for 20 years. I mailed him this post, so he haven’t got the price tag argument anymore. Thanks for sharing, Matt. just real quick: I don’t like you promoting couchsurfing only as a means of staying somewhere for free. I’m a CSer myself, and I’ve hosted way more than surfed and I hate the freeloaders. If I have guests, I want them to be interested in me, my country, in sharing and exchanging. Just a thought. Thanks for having an amazing country! I’m also impressed by how you break down your expenses. You must have developed a system over the years. Of course it would be easy if you could put every purchase on a card, like some people manage in the U.S. This is impossible of course. Maybe you keep receipts for most things, but even this isn’t often feasible, e.g., with street eats. Maybe you’re in the diligent mode of noting down everything. I just wonder as I can’t imagine myself getting everything broken down so precisely. I write down everything I buy so I can do posts like this! Great Post! We like how you break all the costs down…very informative. I was shocked at how little it costs in Romania. All the more reason to go there! My friend and I are planning to to Romania this coming July 17-19, 2015. I would like to ask what were the tourist spots that should be visited during this 2days and what are the local foods there? I want to try. You should definitely visit Botiza, in the region of Maramures. My son did a Peace Corps experience there for 2 years, fell in love with a young woman from there and we visited for the wedding in 2012. It was an amazing place. 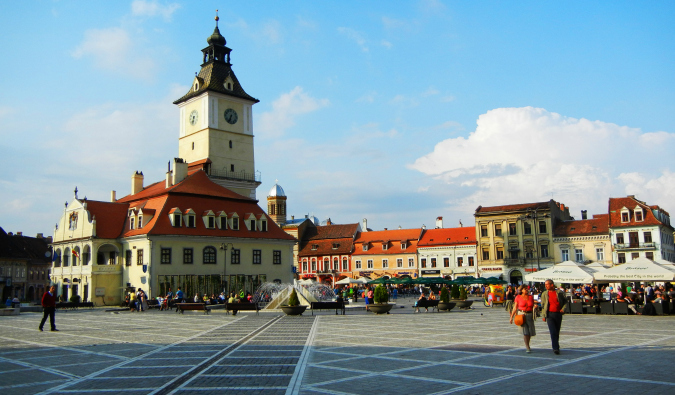 They now live in Cluj-Napoca, a much bigger & fun city. The people are so friendly and generous. Great post, Matt. I have a good friend currently living in Kiev and I’m pretty sure I’ll get there in 2012. This is reassuring. I’ll never stop eating sushi. It’s just too good! Solid information! I’m so intrigued by Albania- I’d be curious if you plan on heading there? Don’t feel bad for not visiting Moldova and Belarus. Although Moldova has some good wine, there’s pretty much nothing in Belarus, the capital is more or less westernized, the rest is just mlee.. These pictures are very beautiful. I visited Bulgaria a few years ago. Your pictures bring back so many great memories! Thanks for sharing. I’m the weary traveler thought – if I got stranded anywhere what would is the general cost of transportation in these countries? I think I’ll be using SOStravelers. Great post Matt. I spent my post-uni gap year travelling through eastern Europe and loved it. Great value for money, huge variety of things to check out and – especially in Belgrade and Budapest – amazing nightlife. Olomouc my personal highlight. I haven’t hit that part of Europe yet either but I’m itching to go! I recently got the idea of cycling the Danube from the Black Forest to the Black Sea so I guess I should put aside some time and see a lot more of the region. While I like the experience, I was hoping for $25 per day in those places. Would that amount per day work out? It’s possible if you stick to an uber tight budget and Couchsurf a lot. Do you think there are some cheap options for holiday homes with friends as a way to save money. I’m from Romania 🙂 I love the picture of Brasov that you chose. I’m going to Romania and Bulgaria next week. Just 9 days in all (that’s all my visa allows 🙁 ) so this info is great! Excited!! Absolutely loved Romania….the people were friendly and helpful….the sights were fantastic….went up and down the Transfagaran Highway…..the food was cheap and very good……I look forward to going back! Great breakdown. I’m doing a similar solo back pack this summer (hh hath romania serbia bosnia and slovenia). Curious as to where how you think is best place to do money exchange? Pre trip to have a bit before getting to each country or in each country (airport/bank etc ). Thanks!!! @Julie: Depends how u get there. If u fly in, as far as Romania goes, avoid the airport exchange houses. They have the worst exchange rate. The regular exchange houses are better than the banks. You should have enough RON to pay the taxi driver and thats all (50 RON tops) In Bucharest there are non stop exchange houses everywhere. Great post! We are looking to spend 3 months in eastern europe next summer before moving on to SEA. Do you think it is still confortably doable with 50USD per person per day? We are a couple, we don’t drink but we like to move a lot… Thanks a lot! $50 per person would be plenty! Impressive self-discipline Matt. I was wondering how do you know what you\’ve spent, but found the answer in the comments above. Here\’s a little trick for other sushi fans when it comes to Bulgaria: there are several websites similar to Groupon here (Grabo, VsichkiOferti, etc.) which always have absolutely incredible saving options. Unfortunately, they are in Bulgarian, but as with everything else, there\’s a workaround and it\’s called Google website translate. Using this tool people can get massive discounts on soooo many things around the country. P.S. As for travelling, you\’d probably be surprised to know that renting a car in Bulgaria is one of the best ways to go around and lots of companies have tremendous offers, especially in September and May. I was wondering if you, or anybody on here, knows if these prices and costs are still current? I see some of these comments are from 2011 so I don’t know when the last time all this was updated was. Is it still possible to travel in this region for under $40/day? Thanks for all the info! !